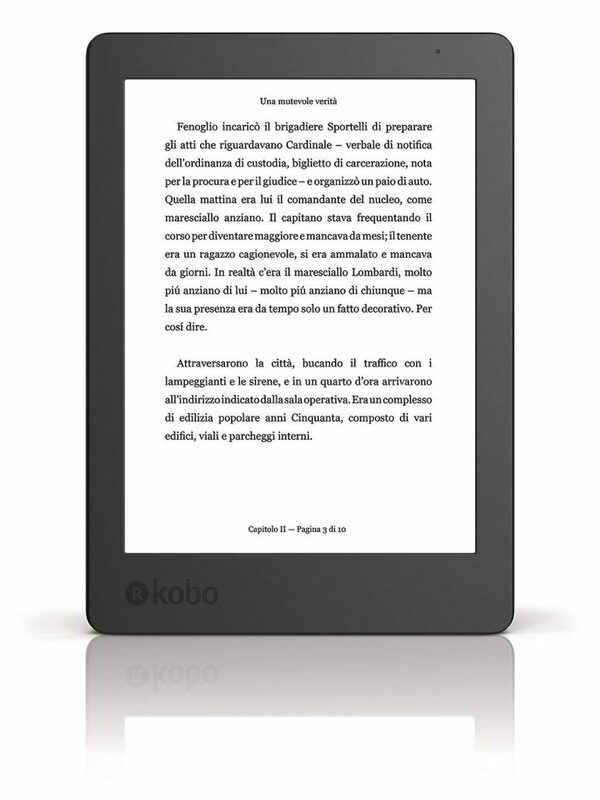 E-readers are available in different shapes and sizes and it can be quite a task to make a proper selection. There are different categories of e-readers available for different preferences and in a wide price range. If you’re tired of carrying books around, an e-reader is a perfect choice. Moreover, gone are the days when e-readers used to cause eye strain. The models available today are light, handy and can store thousands of books in a few ounces, offering you visual appeal and the feel of actual paper to the eyes. Let’s check out the best e-readers available in the market today! Kobo has always been churning out decent e-readers, with Koba Aura H20 being a water-resistant model with IPX8 waterproof rating. It is a good alternative to the Kindle Paperwhite. It is durable, rather than stylish, with a solid plastic body and a dimpled back offering a good grip. The size is 6.8 inches; so, the screen is quite generous, though this does make it a rather big device with more width. However, it is light at 210 grams and comfortable for holding for long periods. It is water resistant and can be dunked in about 2 meters of water for half an hour. The display is a Carta E-Ink one and is sharp with a resolution of 1440 x 1080 pixels and a pixel density of 256 ppi, offering crisp text and detailed images. One of the interesting features of the Kobo Aura H20 is the Comfort Light Pro mode, which can be used for dimming the backlight limiting blue hues at night. As for the battery life, you can have a few weeks of usage. It comes with 1 GHz CPU and internal storage of 8 GB; so, can literally store thousands of books. The software is good and can be integrated with Pocket and Adobe Digital Editions. You can download books from stores as well as from EPUB files or any other lending services, which is a refreshing change from the Amazon ecosystem. Those looking for a water-resistant e-reader, as the name itself suggests. Hence, suitable for those who want to use their e-readers on a vacation, by the poolside etc. The Kindle Oasis e-reader is excellent, though expensive, e-reader, made totally of metal and is a solid device and a good grip. The touchscreen system comes with 2 buttons for switching pages and weighs 194 grams; so, you can easily carry it around. 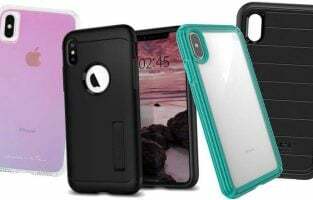 It is waterproof and IP68 certified, and offers protection against water as well as dust, making it perfectly suitable for those who travel a lot. 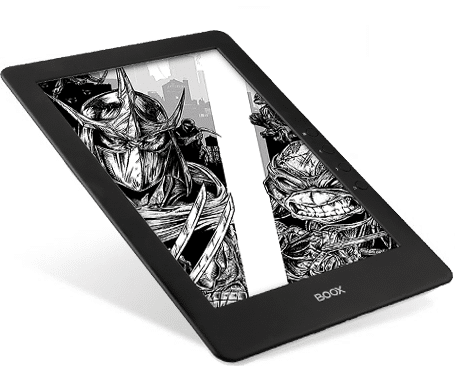 The 7 inches E-Ink, Carta HD display has a pixel density of 300 ppi with 12 LED backlights. It is excellent as there is no need of page refresh when you turn the pages, which really makes the experience unique. You can store over a thousand books and turn the pages intuitively, just as you would do in a physical book. It offers support for 16 level grayscale and has a RAM of 1 GB, which makes it fast while navigating or switching books. Some of the special features are the Nightlight feature whereby you can change the screen brightness, along with the auto brightness feature. Battery life is around 6 weeks. For those who can afford to buy an e-book that is the best and allows you to forget the world around you while reading. For nerds, who are ready to pay for the nearest experience to reading a physical book. The Barnes & Noble Nook Glow-light Plus comes in a sleek design with aluminium rear, featuring 300 dots per inch in its E-Ink display. It has a capacitive touchscreen with an improved built-in light. It weighs around 6.9 ounces. It is rather minimalist, with no physical buttons for page turns. The n shaped button at the bottom is a touch-sensitive one and not a mechanical one. The software is zippy and responsive. The clear advantage it has over the competition is that the Glow-light Plus is both waterproof and dust-proof. It comes with IP67 rating; so, you can literally submerge it in 3 feet of water for half an hour. You get around 2.5 GB free space for storing more than 1000 books. The battery life is rated at 6 weeks. A new feature, known as B&N Readouts, has been included, which offers a regular selection of quick reads. You can use the e-reader for reading EPUB files bought from 3rd party retailers as well, along with reading PDFs. 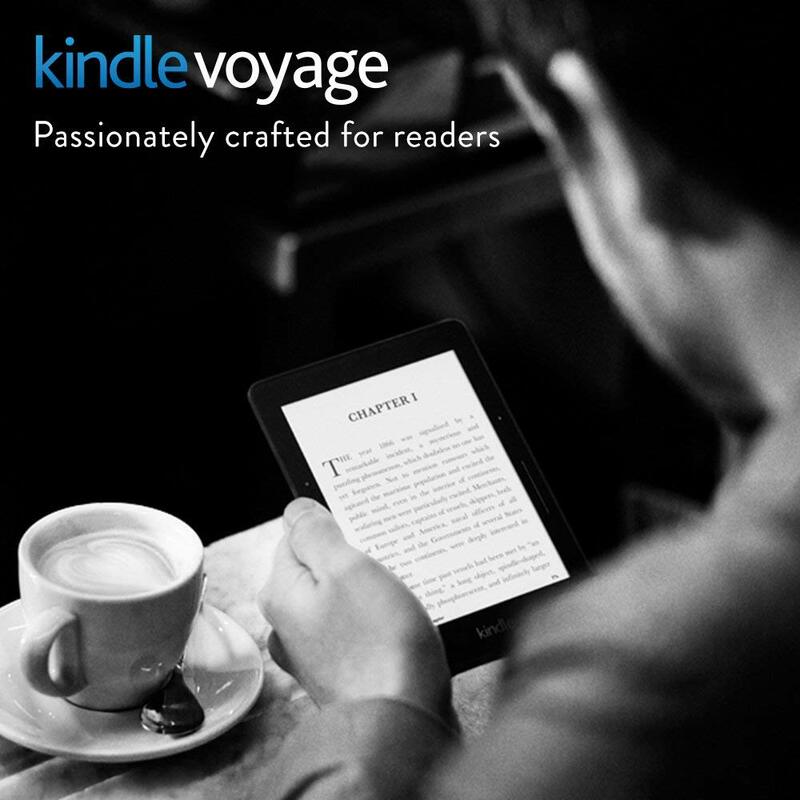 This premium model, the Kindle Voyage, offers a compact and sharp 6 inches screen with a high resolution. The resolution is an e-in pixel density of 300 ppi offering a nice reading experience. The back-light sensor is ambient and adjusts during day and night. The dimensions are 162 x 115 x 7.6 mm, a little smaller than the Paper-white. Page-press feature allows readers to turn pages even without lifting their fingers. The battery lasts for around 6 weeks. Amazon Prime members can read for free with access to more than a thousand titles. Speed is excellent and there are plenty of other features for enhancing the reading experience. For instance, you can translate words and passages into other languages, highlight text, annotate and even share with others. Kindle Free-time Unlimited and Family Library are some useful features in the Kindle software. 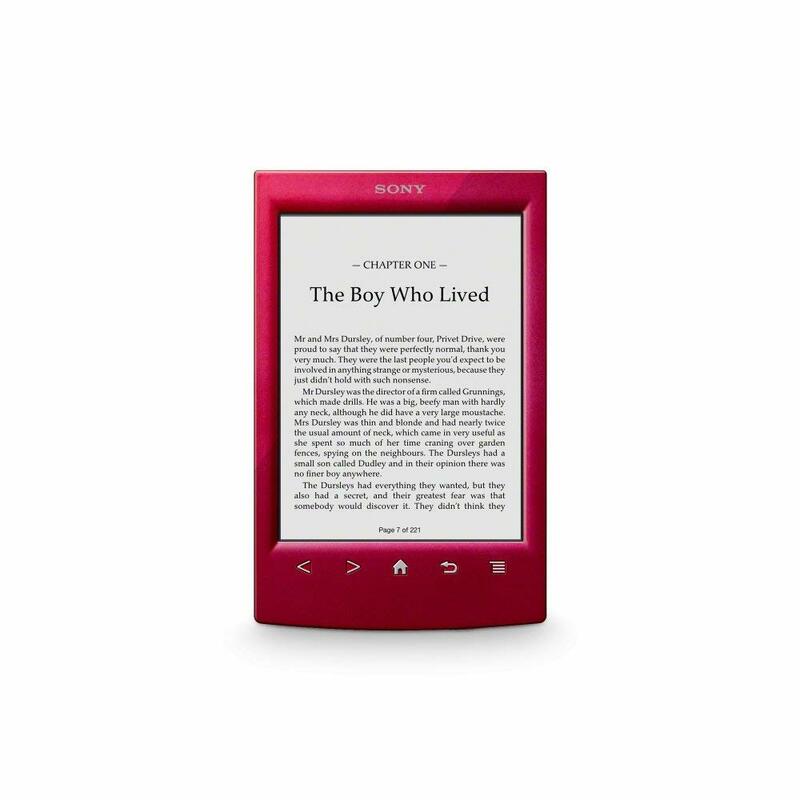 The Sony PRS-T2 is a 6 inches E-ink screen from Sony, a company that has been making eBooks for several years. 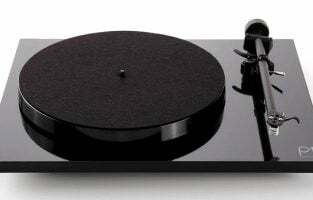 It comes in matt black finish with sharp lines and large plastic buttons for navigation. The use of plastic makes it lightweight and reduces the cost as well. It is the world’s lightest eReader at 6 inches, being below 6 ounces and slim at 0.38 inches and comfortable to hold. The buttons are well placed, intuitive and clearly labelled, though you don’t need to use them much, being a dual IR touchscreen. The screen resolution is 800 x 600 E-ink pixels. It does not have a light, so the environment needs to be well-lit. The screen is glare-free. The multi-touch skills offer good value in this e-reader. For instance, you can hold on a word, highlight it, send it to social media or look it up in Wikipedia. It makes use of an automatic system for sensing screen refresh requirement, though they are not needed much. The package comes with a Stylus pen, a guide and a USB cable. You can access downloads from Public libraries using Wi-Fi or borrow free eBooks from local libraries with the library icon. You can also access the Sony Reader Store and shop for thousands of book titles. It is based on Android. You can use the Sony bookstore or even transfer your books using the micro-USB port with access to 2 GB internal memory. 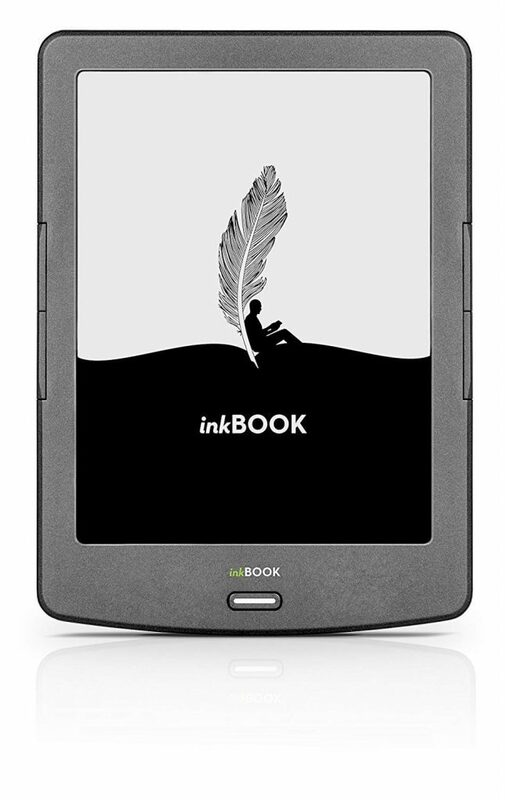 The inkBOOK Classic e-reader comes with a 6 inches, Carta eInk touchscreen and is rather similar to the Kindle Basic Touch. The screen resolution is 800 x 600 pixels, but there is no front light, so you cannot read it at night in the dark. It is powered by a dual-core CPU and has a RAM of 512 MB with internal storage of 4 GB. There is also a micro-SD card slot, so you can expand the storage up to a maximum of 32 GB. Users can download eBooks using Wi-Fi, through the built-in bookstore and also load books of their own. It runs on Android 4.2.2 and comes with 12 e-reading apps built in. However, you can instal the Good e-Reader App Store for EInk. There are several fonts available, with the possibility of increasing size, font style etc. Other features like highlighting works, making notes, looking up the meanings using Google etc. is also possible. 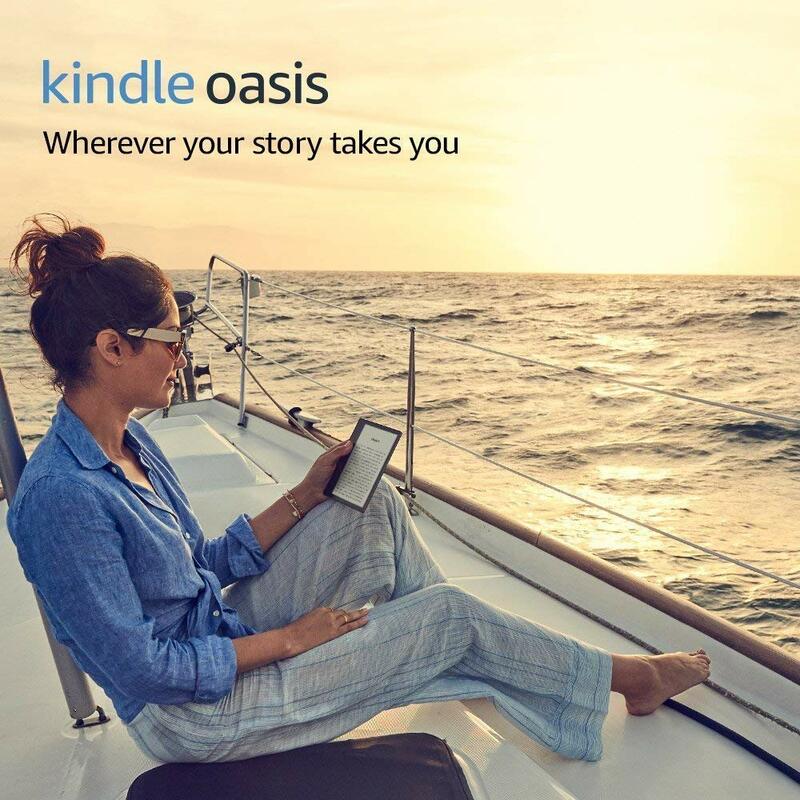 There is no specific ecosystem like in the case of Amazon Kindle, so you can expand your experiences. It is easy on the eye and there is no eye strain even in case of longer reading sessions. Touch gestures are responsive and navigation is comfortable, with new physical inkBUTTONS as well. Other enhancements are present like the touchscreen on and off switch, an Open-dyslexic font that can be useful for dyslectics along with high contrast mode useful for users with low vision problems. The Kobo Aura is the younger sibling of the Kobo Aura HD. It has a 6 inches screen with a high resolution and is front-lit. The major selling point of this e-reader is that it has a battery life of over two months, so it can even compete with the Kindle Paperwhite in this feature. The rear panel is chiselled and comes in a textured finish. It weighs 174 grams and is comfortable to hold even for long periods. The bezel is slim and it is a compact e-reader that you can keep in your jeans pocket or coat pocket. The battery life is outstanding and it is packed with great software features. You can access various reading stats, such as how much of the chapter is left over, the percentage of the book read, etc. The features are presented in an intuitive way and can be accessed easily from its home screen. The Beyond the Book feature lets you access definitions and other information, with all information being available offline. You can buy the Kobo collections from the Store, based on specific topics or authors, being reasonably priced as well. There is a Pocket Integration feature, which allows you to sync saved articles to read offline from other devices. This feature can be used for both iOS and Android devices. Another feature is the Reading Life, where you can unlock achievements to become more engaged with reading. It comes with a superb, intuitive home-screen and powerful software experience. 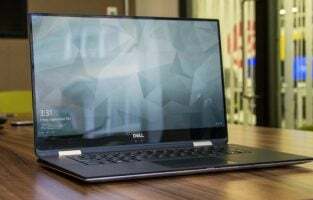 It is powered by an octa-core processor that handles all functionalities, such as reading a book listening to an audiobook or just using the Android apps, like a champion. The Likebook Mars comes with a 7.8 inches of E Ink Carta, touchscreen having a resolution of 1782 x 1448 pixels and has a pixel density of 300 ppi. The front display has 17 LED lights, giving a candlelight effect. You can control its brightness with the slider. 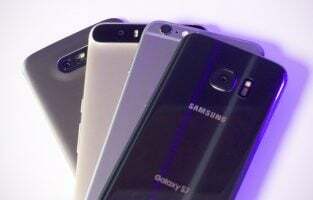 It is powered by an eight-core processor of 1.5 GHz and has a RAM of 2 GB with 16 GB of internal storage. There is support for Bluetooth and WiFi, with a 3.5 mm headphone jack. There is an SD card supporting storage of 128 GB. The dimensions of this e-reader are 198 x 144 x 8.3 (LWT) mm and the weight is 245 grams. The battery is powered at 3100 mAh, allowing about 3 weeks of usage. The hardware is one of the most powerful available in the market today. The software is Android 6.0 with a customised interface. You can access several filters for books. It makes use of a special process for anti-glare, reducing reflective light and protecting the screen. The built-in front light is adjustable, helping you read in the day or night time. PDF reading is convenient, as you can adjust the grayscale and so on. 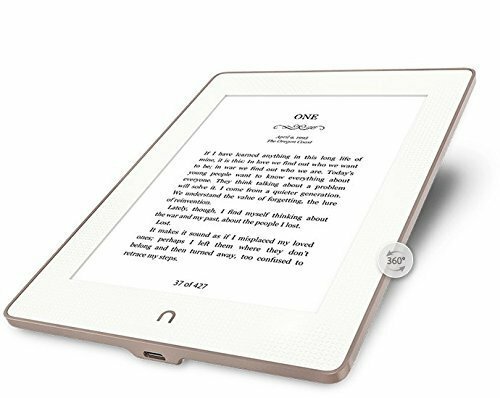 It is among the top e-readers with powerful hardware using e-ink technology but is only available at a high price. It comes with a 10.3 inches screen and flexible e-ink Carta display, having a resolution of 1872 x 1404 pixels and a pixel density of 227 ppi. 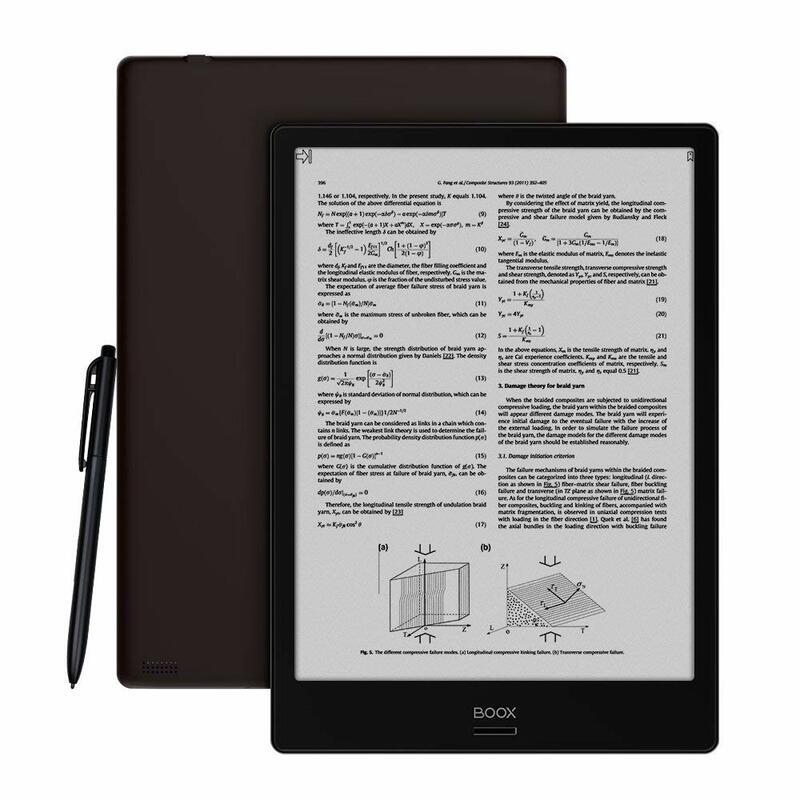 The panel consists of electromagnetic Wacom and capacitive layers; so, you can use the included stylus or fingers for flipping the pages of your eBook. It is a slim device, weighing just 354 grams and can be easily held in one hand. The eBook is powered by a 1.6 GHz quad-core chipset with 2 GB of RAM. 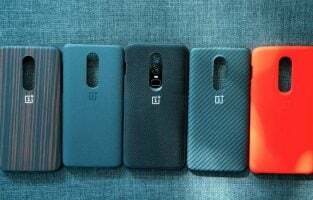 It has 2 speakers, a mic and Bluetooth along with USB C. It has a powerful battery of 4100 mAh and comes with the support of Android 6.0 and Google Play included. It has 32 GB internal storage, but there is no additional SD card option. The stylus comes with an eraser and a clip and its performance is excellent due to powerful software features that offer good sensitivity. The pressure sensitivity is 4096 degrees. You can also make thicker and thinner lines merely by pressing on the display screen while drawing or writing. It features a double page layout, where you can open up the EPUB or the MOBI and also a note app on the other side, for jotting down notes as you read. The library contains all the PDF files and your eBooks. Here, you can search for metadata, switch between different types of views like grid and list, delete books from the device, etc. The digital note-taking feature is excellent, as the stylus has good pressure sensitivity. It supports freehand drawing and using of shapes, erasing and so on. The battery is powerful and can last for weeks on a single charge. 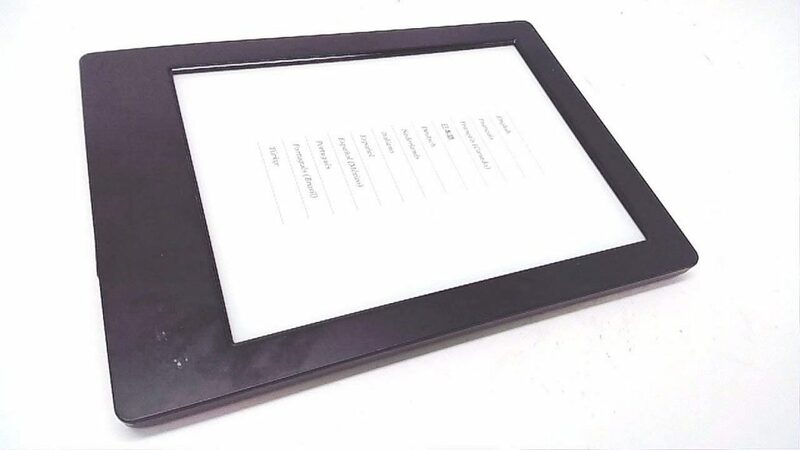 This is a 13.3 inches e-reader with E-ink display. It is enclosed in a grey felt cover and is very light. There is an included Wacon digital stylus. 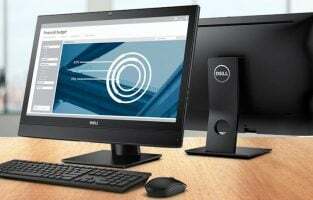 It has an HDMI port and can be attached to a laptop or a desktop if you want a second screen. The screen looks like and is clear even in sunlight. The e ink carta display comes with a resolution of 2200 x 1650 pixels, which results in a pixel density of 207 ppi. It is slim at 7.5 mm and weighs 573 grams. It has a regular micro-USB slot for charging the battery that is powered at 4100 mAh, lasting 4 weeks with a single charge. It makes use of the cloud for accessing files (Dropbox or any other cloud storage app) and it is powered by Android 6; so, you can access Google Play Store applications. The A4 size (almost A4) is very useful for editing and marking up articles and making notes. It is a refreshingly unique kind of e-reader and is power efficient. It comes pretty close to replacing your pen and paper entirely. If you are going to buy an e-reader for the first time, it doesn’t mean you have to start it with the most affordable one. Instead, you have to try with the great one yet affordable, because it will be your first experience using an e-reader. Amazon Kindle Paperwhite is the perfect mate for the newbies. It features 300 psi, which is twice bigger than the basic Kindle (167 psi). It makes the display sharper and more comfortable to read. 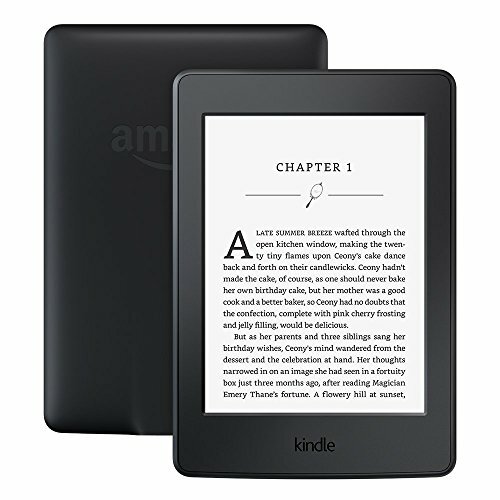 Kindle Paperwhite is equipped 4 built-in LEDs for its light that allows you to read in the dim or dark room with comfort. The built-in lights and higher display resolution can reduce the strain of your eyes even when you read for long hours. With its small dimension (169 x 117 x 9.1 mm) and 217 g of weight for WiFi +3G model, you will be able to hold it by one hand. The screen is free of glare and the battery life can last up to 6 weeks. 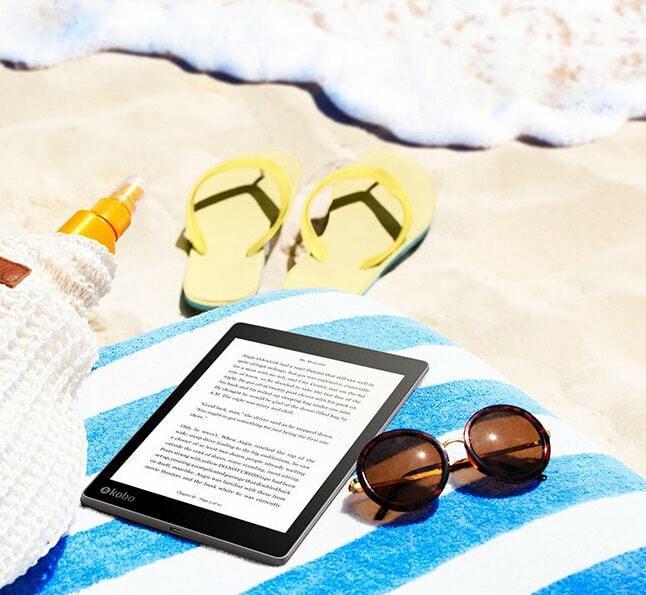 Kobo Aura ONE is suitable for a book lover who loves to read at any place, such as the beach, swimming pool, or even a bathroom. It’s equipped with HZO Protection™ IPX8 that allows the device to be immersed up to 60 minutes in 2m of water with the cover closed. Its weight is only 207g with 179 x 129 x 9.7 mm of size, similar to Amazon Kindle Paperwhite. With its 8 GB onboard memory can hold up to 6,000 eBooks. Kobo Aura ONE supports PDF format beside the other 14 formats: EPUB, EPUB3, MOBI, JPEG, GIF, PNG, BMP, TIFF, TXT, HTML, RTF, CBZ, CBR. You can also read eBooks from the public library by borrowing it. The other interesting feature of Aura ONE is the battery life, which can last up to 1 month. The 7.8″ HD Carta E-Ink touchscreen and 1872 x 1404 resolution 300 dpi can make you read like in a paper print or even better. The adjustable ComfortLight PRO feature allows you to adjust the light and minimize the eyestrain. Unfortunately, the price is much higher than Amazon Kindle Paperwhite, but it is worth buying. Amazon Kindle 2016 could be the best e-Readers for students or those who want to buy an e-reader with a limited budget. It’s the best affordable e-Reader in the market. What will you get from a $59 e-Reader? 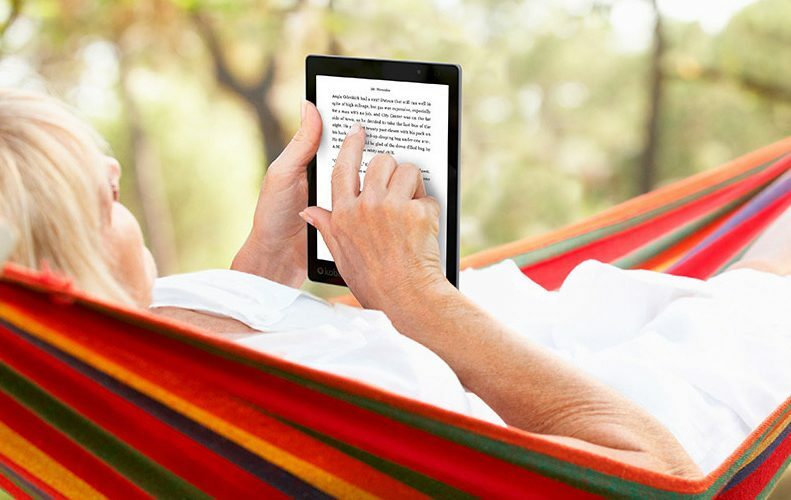 Amazon Kindle 2016 has a 6″ glare-free screen, even when you read under the sunlight. It’s about 40g lighter than Kindle Paperwhite and its small dimension (160 mm x 115 mm x 9.1 mm) allows you to hold it with only one hand. You will also get a 4 GB built-in storage to hold thousands of books and free cloud storage for all Amazon content. As well as Kindle Paperwhite, its battery life can last up 4 weeks on a single charge. Unfortunately, the resolution of Amazon Kindle 2016 is only 167 ppi, which is almost a half smaller than Paperwhite. Moreover, it’s not provided with a built-in light. Therefore, you need to buy the external light for reading in the dark room. If you are a student or someone who read technical or scientific eBooks quite often, you might need more than just an eBook reader. Amazon Kindle Paperwhite and Kobo Aura ONE may great in for common eBooks which don’t contain graphs and charts. You can read the graphs, but it’s not that good. The same result also goes for PDF files. You will need a premium eReader for those purposes. ONYX BOOX Prometheus offers some features that the common eReaders don’t have. It’s a 9.7″ eReader, with 450g of weight, similar to iPad Pro. However, reading graphs is more comfortable on a bigger screen, and 9.7″ is a perfect size I think. It isn’t too big nor too small. It’s just right. It features E-Ink Pearl, the latest development of E Ink company that has higher contrast has a less period of a screen refresh. ONYX BOOX Prometheus also features Moon Light system for more comfortable reading. The system uses a reflective light distribution technique which gives a better experience of reading in the darkroom than backlit LCD displays. Its outstanding Freescale processor with a 1 GHz clock rate and 1 GB of RAM allows you to open various text and graphics formats, including the most difficult one. 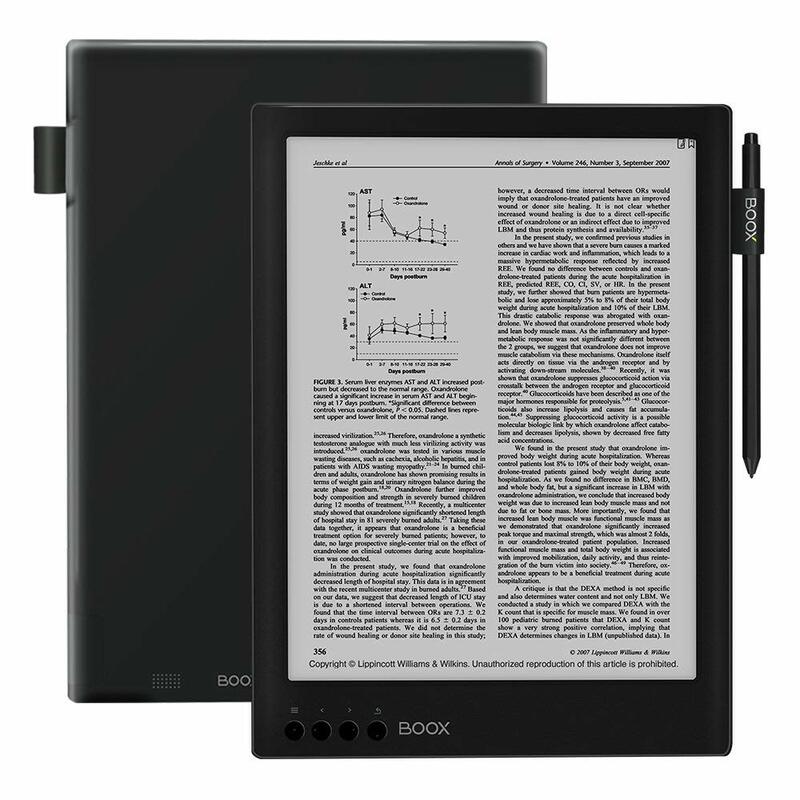 This is one of the best e-Readers that suit for students who majoring in engineering, science, etc. 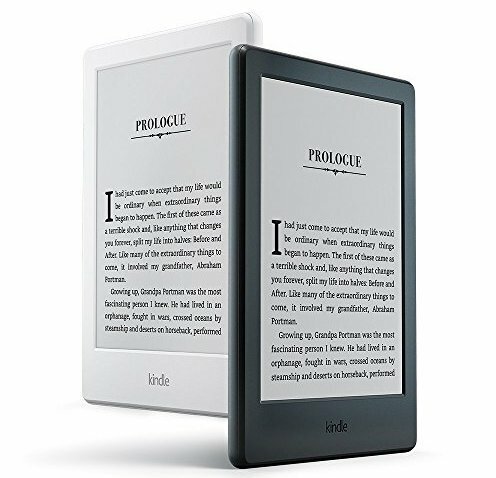 Regarding the price, it is higher than the other common eReaders. But, with all those premium features, the price is just right. It’s not too expensive nor too cheap. Giving your kids an e-Reader is wiser than giving them a tablet. Amazon Kindle for Kids which is bundled with the latest e-Book especially for them. It’s designed for all ages kids. The younger kids can choose the e-Books by tapping on the images, such as “princesses”, “Dinosaurs”, “Cars”, etc. It’s totally safe for kids because it’s designed for reading only. Unlike on tablets, kids cannot find the inappropriate content here or play games. It has a great feature, called Kindle FreeTime.The feature encourages children to have reading habits by giving them the achievement badges whenever they reach milestones. Kindle for Kids has a light and thin design. It’s only 161g of weight and 160 mm x 115 mm x 9.1 mm of dimension. Therefore, children can hold it with ease and feel comfortable. While picking a suitable e-reader, check out the screen, whether you prefer a black and white or one with back-lighting, e-ink and so on. E-readers cause less eye strain and have reduced glare, especially if you are reading outdoors. You might also like to consider the size, especially if you travel a lot and want a smaller one for toting around. If you enjoy reading magazines, you can consider the full-color LCD screens and e-readers that offer many other multimedia features, video viewing and so on. You might also check out the battery life while making a selection. Ready to make the crossover?